L`Occitane is one of my favorite body brands that sells amazing and worth products. Products mixing Verbena note are my favorite for at least 4 years, and still are impressing, surprising me with its refreshing and long-lasting on my skin aroma. Definitely, not a cheap brand, yet all its products are simply gorgeous, worth-money, and natural. 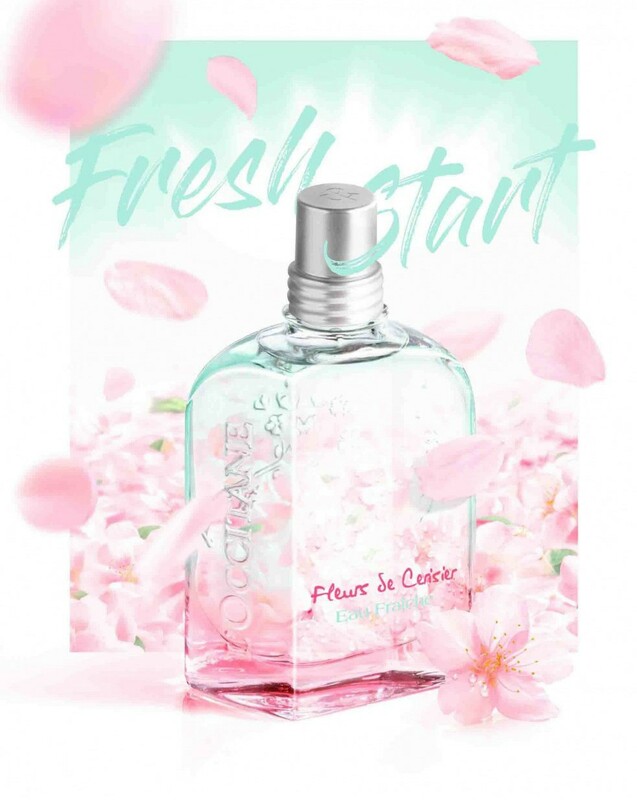 Every February, L`Occitane delights its wearers with one more refreshing cherry-blossom fragrance perfectly balancing sweet with sour aromas to make it a lingering perfume. L`Occitane en Provence Fleurs de Cerisier Eau Fraiche is a new limited edition collection that celebrates the poetry of cherry blossoms in a feminine, sweet and flowery scent. Very present in the region of Apt in the Luberon, the cherry tree accentuates the seasons with its changing colors that always inspire painters: pristine white in spring, bright red in summer, soft green in autumn. 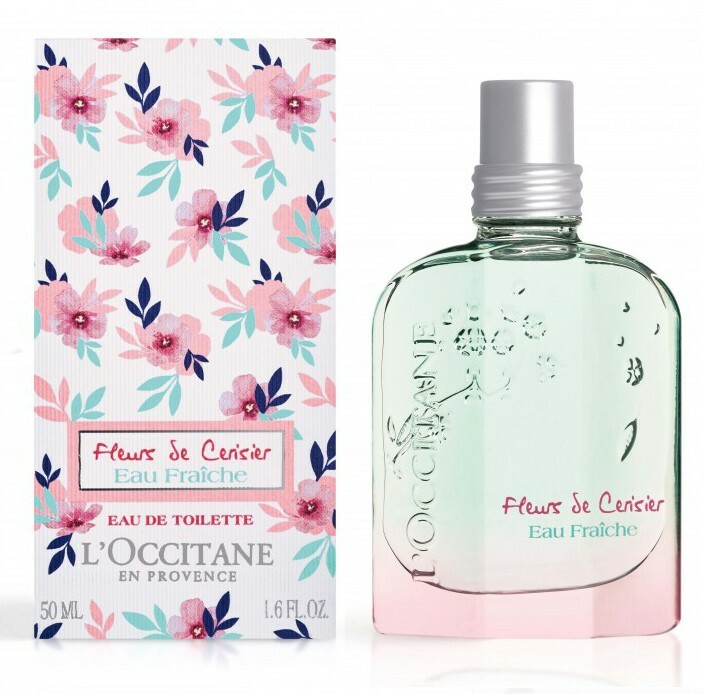 L`Occitane en Provence Fleurs de Cerisier Eau Fraiche is fruity/floral fresh perfume with delicate top notes of cherry blossom water, fresh cherry zest, lemon along with floral accords of peony, jasmine absolute and heliotrope. The base calms on a woody layer made of white musk, sandalwood, and cedarwood. 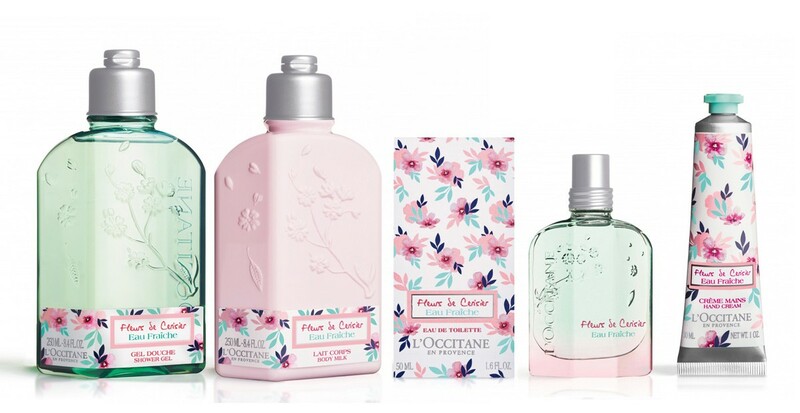 L`Occitane en Provence Fleurs de Cerisier Eau Fraiche is available in 50ml Eau de Toilette and matching body products. The original L`Occitane en Provence Fleurs de Cerisier I feel it on my skin with intense notes of grapefruit and cherry, extremely fresh, floral and elegant. This is my spring-scent, I'd wish it to be more strong and long-lasting. It is not overwhelming, yet fresh lemon scent with hints of flowers. The new Eau Fresh edition promises to be pretty and nice for spring days.